On the afternoon of Saturday, April 23, a Colombian columnist and her Mexican colleague put out the call on Twitter for women to post about their first time being sexually harassed. The hashtag, #miprimeracoso, or #myfirstharassment, took off. Thousands of women tweeted about #miprimeracoso. The stories were sobering in their brevity and sheer number. Gender-based violence is not only ubiquitous, but often goes unreported, unpunished, and undiscussed. On average, six women are killed each day in Mexico, and at least half are considered “feminicides,” murders motivated by sexism and misogyny. In Mexico, 63% of women report being the victim of some type of sexual crime, though the vast majority go unreported. Nationwide, 94% of all crimes go unsolved, leading most women to opt against reporting gender-based crimes. The April 24 marches and #miprimeracoso have given women a sense of solidarity in a struggle that they often feel they have to face alone. 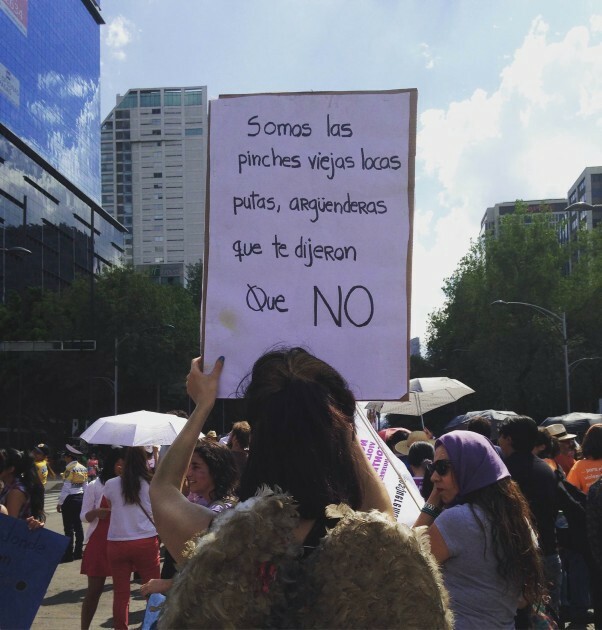 By sharing their stories, Mexican women challenge the normalization of gender violence and taboos against discussing sexist behavior. 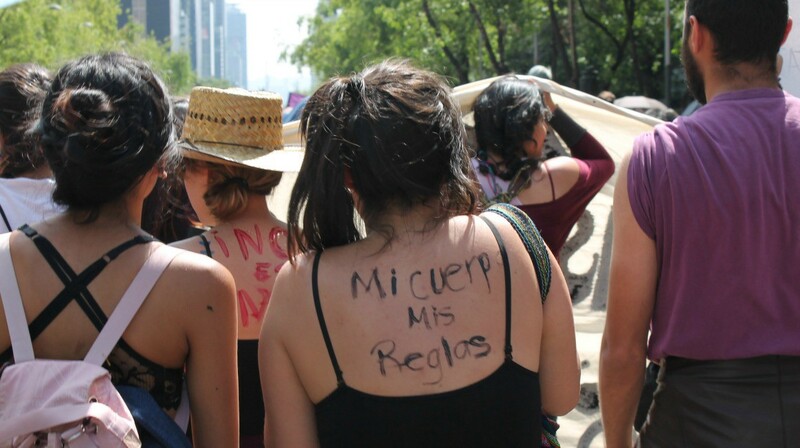 Where the government systematically fails to investigate and prosecute gender-based violence, #miprimeracoso has become, beyond just a trending topic, a source of detailed information about the scale and depth of violence against women. Tweets came in from all over Latin America, but in Mexico the response was overwhelming. Knowing these stories, it is no wonder that on April 24, thousands turned out for marches in two dozen Mexican cities. Under the banner of “Primavera Violeta,” or “Violet Spring,” and the call “Vivas nos queremos” (“We want each other to live”), over 6,000 people marched in Mexico City. They carried banners and signs denouncing violence and calling for a broad feminist movement. Street harassment and harassment on public transportation were focal points of the march. The Mexico City subway was ranked in a Reuters poll this year as the second most dangerous out of transit systems in 16 of the world’s largest capital cities, with 64% of the 380 women surveyed saying they had been groped or otherwise harassed on public transport. 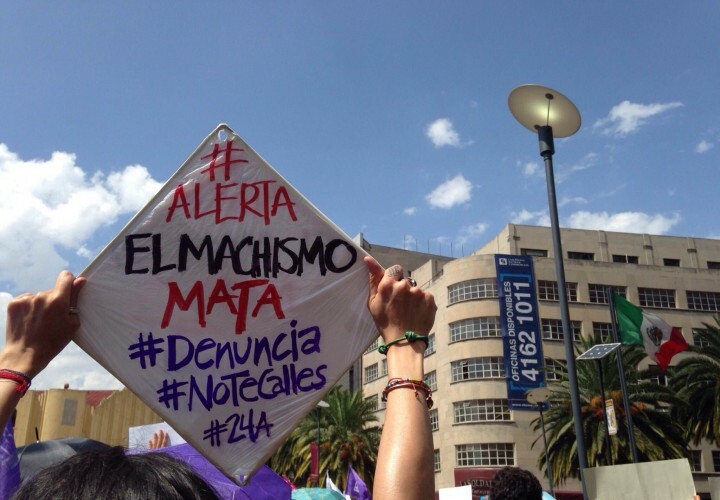 The march started in Ecatepec, Mexico State, just to the northeast of Mexico City, which has some of the highest rates of feminicide in the country. Ecatepec is home to 1.7 million people and hosted Pope Francis during his February visit to Mexico. The government estimates that since 2005, 2,443 women have been murdered and 4,281 have been reported missing in Mexico State. These rates are even higher than Ciudad Juárez, Chihuahua during the same period, the border city that has become known for violence against women. Nationwide, the Interamerican Commission on Human Rights reports that at least 7,000 women disappeared between 2011 and 2015, but other organizations put the total figure much higher. 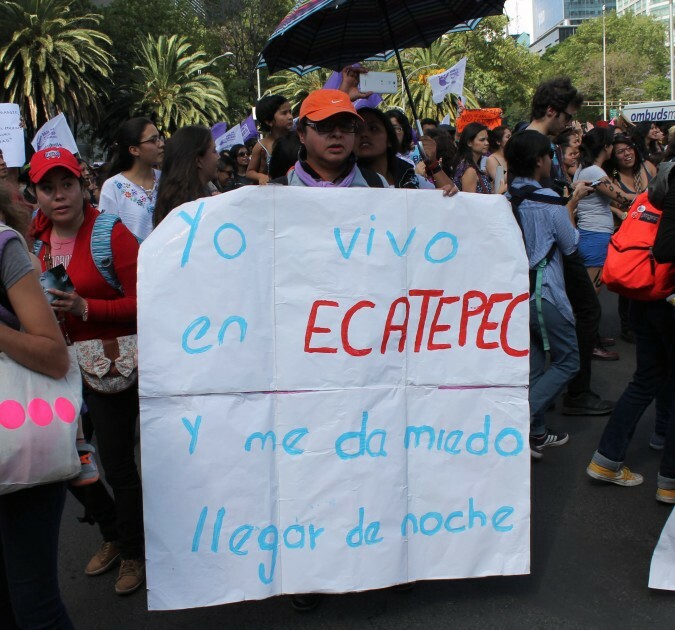 Starting the march in Ecatepec was a way to bring together the feminist movement in Mexico City — rife with NGOs, academics, and university students — and people organizing against gender violence in the neighboring working class suburb. The march continued from Ecatepec into downtown Mexico City, past the Monument to the Revolution, and ending at the Angel of Independence. The mood was defiant as marchers called for justice against abusers and harassers, whether within the state legal system or through alternative means. While the stories shared online are intensely personal and individual, reporters and academics have recognized #miprimeracoso as an unprecedented resource to understand the dimensions of gender violence in Mexico. Adrián Santaurio Hernández, a physicist and digital artist in Mexico City, started analyzing #miprimeracoso tweets from April 23 to mid-May, weeding out those that came from bots or retweets. He was left with 78,000. He developed an algorithm that charted the age at which the harassment took place. He found that for 59% of tweeters, their first memory of harassment was between the ages of 6 and 10. The Latin American news website Distintas Latitudes published an article with extensive data analysis, finding that, as in Lidia’s case, four out of every 10 stories were not about harassment, but in fact about child sexual abuse. They also found that 47% of women reported being in the street or public transportation when the aggression took place. In 62% of cases, the aggressor was a stranger. These increasingly assertive feminist mobilizations are not going unchallenged, and many prominent feminists have been attacked on Twitter or physically threatened. In a highly publicized case, Mexico City-based American journalist Andrea Noel was targeted at her home with threats after going public about her street harassment case. One woman tweeted a common sentiment — “I don’t remember #miprimeracoso. Since growing up it has been normalized for me.” Yet as these stories become known, both on the internet and in mobilizations such as Primavera Violeta, that reality starts to change. 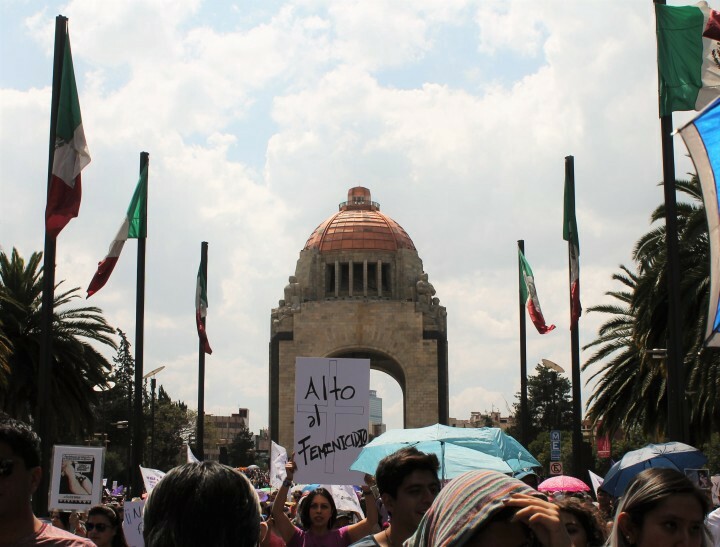 In the face of intimidation, ongoing feminicides, and disappearances of women, the growing movement across Mexico to end gendered violence is just beginning.